House for sale in Marbella (walking distance to the beach and the old town). 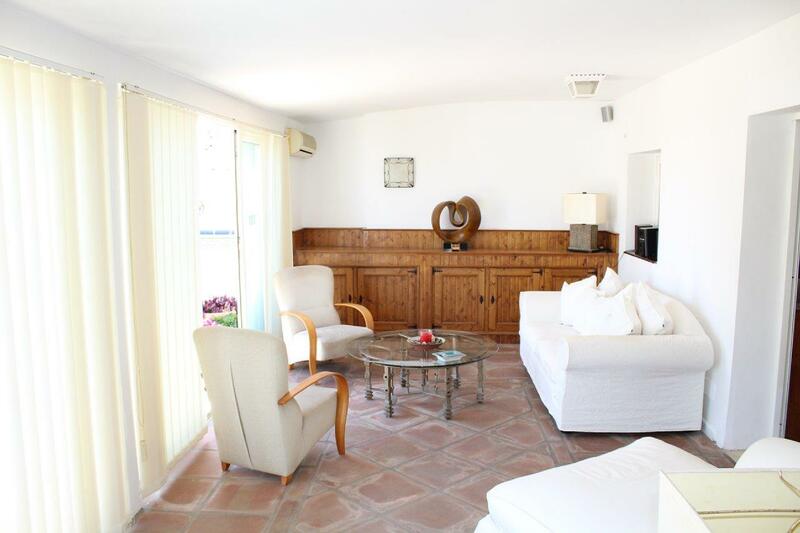 Do you wish to live close to the beaches and old town centre of Marbella? Then we may just have the perfect semi detached villa for you. The current owners are going to travel. They have lived in this wonderful house for many years but they now want to see a bit more of the world, so they’ll be away for 6 months of the year. Reason for them to sell their house in Marbella – and a great opportunity for you to buy a (semi detached) villa at the average price of an apartment! Only the rich and famous can say they live walking distance from the beaches and old town of Marbella – but so can you now! There’s even a possibility to quite easily add a fourth large bedroom on the roof, which will then have sea views as well. Water and electricity are present and some neighbours have already built their fourth bedroom so you can get some inspiration for the construction from them. This wonderful semi detached villa is located just a 5 minute walk from shopping mall La Cañada, a 10 minute walk to the beach and a 20 minute walk to order a drink on the famous Orange Square in the old town centre of Marbella. It offers everything from a large terrace to a private plunge pool, three bedrooms and a possibility to quite easily add a fourth. At just € 299,995 (the average price of an apartment in Marbella) we don’t think this unique property will be for sale very long! Wish to know more? Click here for photos and more information. You can of course also call or e-mail us. The reference number of this property is MP1086.